Description: During this training we shall discuss and analyze the roles and functionalities featured by Windows Server 2012 R2 and System Center 2012 R2 that allow the successful implementation of a Microsoft Private Cloud. We shall start from the basics such as the virtualization hypervisor Hyper-V (capabilities, basic and advanced configurations), HA technologies (High Availability) from Windows Server 2012 R2 (Failover Clustering, File Server Scale-Out, Teaming) and we shall continue with the management solution System Center 2012 R2 with an initial focus on the management elements of the SCVMM virtual infrastructure (Virtual Machine Manager) and SC App Controller. We shall approach the monitoring and protection areas of a Private Cloud and we shall speak about Operations Manager and Data Protection Manager. 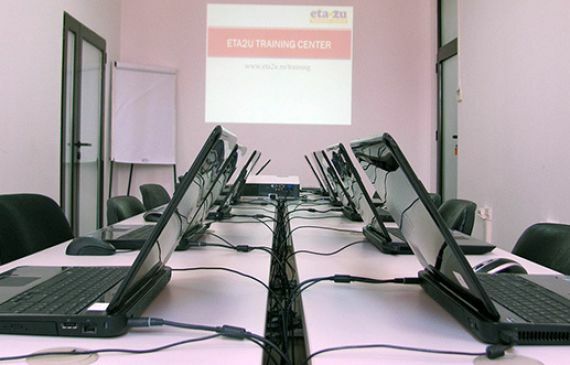 Audience: This training is intended for system administrators which want to learn how to implement and manage a Private Cloud based on Microsoft technology. This training can be used for the preparation of the 70-409 exam: Server Virtualization with Windows Server Hyper-V and System Center. For other details (or for signing up) click here.